Home / Education / Nigeria / Primary school / Teachers qualification / Qualification Required to teach as a primary school teacher in Nigeria. 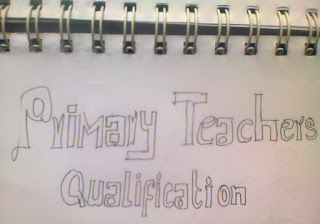 Qualification Required to teach as a primary school teacher in Nigeria. To teach as a primary school level teacher in Nigeria you need minimum the Nigeria certificate of Education(NCE) that is the required qualification for primary and junior secondary school teachers in Nigeria. Nevertheless, if you intend to teach at primary school level and you dont have NCE qualification, you can simply enrol your self to the government approve institution National Teachers Institude(NTI) to upgrade your qualification to the NCE level to anable you teach at primary and Junior School level. However, in 2015 the Minister of Education Malam Ibrahim Shakarau said the federal government reached a decision to make the possession of first degree to be the minimum teaching qualification in Nigeria as part of government effort to improve the standard of Education in Nigeria.